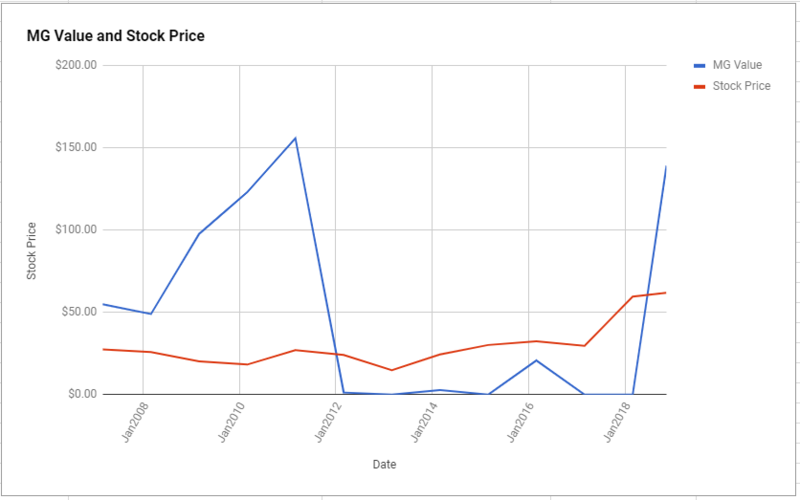 As for a valuation, the company appears to be Undervalued after growing its EPSmg (normalized earnings) from $2.44 in 2015 to an estimated $4.35 for 2019. This level of demonstrated earnings growth outpaces the market’s implied estimate of 2.87% annual earnings growth over the next 7-10 years. 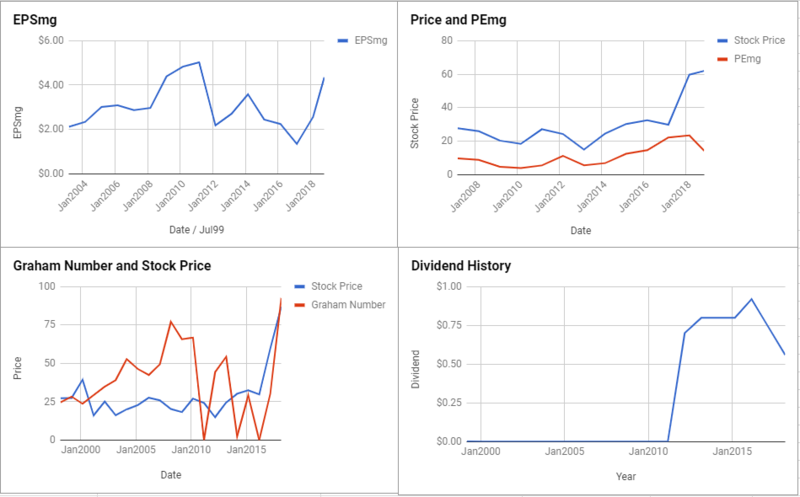 As a result, the ModernGraham valuation model, based on the Benjamin Graham value investing formula, returns an estimate of intrinsic value above the price. At the time of valuation, further research into DXC Technology Co revealed the company was trading below its Graham Number of $92.46. The company pays a dividend of $0.72 per share, for a yield of 1.2% Its PEmg (price over earnings per share – ModernGraham) was 14.24, which was below the industry average of 52.08, which by some methods of valuation makes it one of the most undervalued stocks in its industry. Finally, the company was trading above its Net Current Asset Value (NCAV) of $-28.8. DXC Technology Co receives an average overall rating in the ModernGraham grading system, scoring a C+.